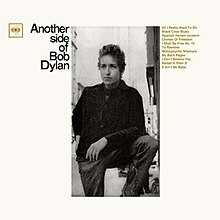 BOB DYLAN: ANOTHER SIDE OF BOB DYLAN: 1964: 4 1/2 STARS OUT OF 5 STARS: A transitional album for Dylan. The protest songs of The Times They Are A- Changin’ released earlier in 1964 are gone. The folkies didn’t like it but it was the right move for Dylan and his career. When is the last time Joan Baez mattered? One song on here Dylan himself would later say he should have left along is Ballad In Plain D- his vicious attack on Suze Rotolo’s sister and mother after their break-up. Highlights- Chimes of Freedom, It Ain’t Me Babe, All I Really Want To Do and My Back Pages…. Dylan was just about to begin the greatest period of his career with the next album. 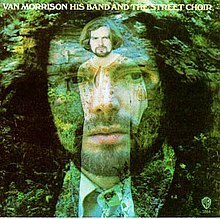 VAN MORRISON: HIS BAND AND THE STREET CHOIR: 1970: 4 STARS OUT OF 5 STARS: Van has never been a singles artist- Domino is one of his best ever singles in my opinion. A great lead off track on this album. Other standouts- Blue Money, I’ve Been Working, Street Choir and Call Me Up In Dreamland. This is a fine album but a disappointment when compared to the two that came before it- Astral Weeks and Moondance. Domino, Blue Money and Call Me Up In Dreamland were good. I agree it was not as good as his previous two albums.